Following a life long affection with Carpenters music, and being members of the original Carpenters Fan Club, it was a natural progression to follow their musical inspirations and perform one of the best "Tributes to Richard and Karen Carpenter" around today. 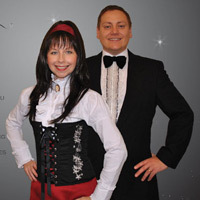 As you would expect, the Tribute Show charts Richard and Karen's success from their first No1 selling single "The Carpenters - Close to You" and recreating many of their immense platinum selling records throughout their memorable performance. 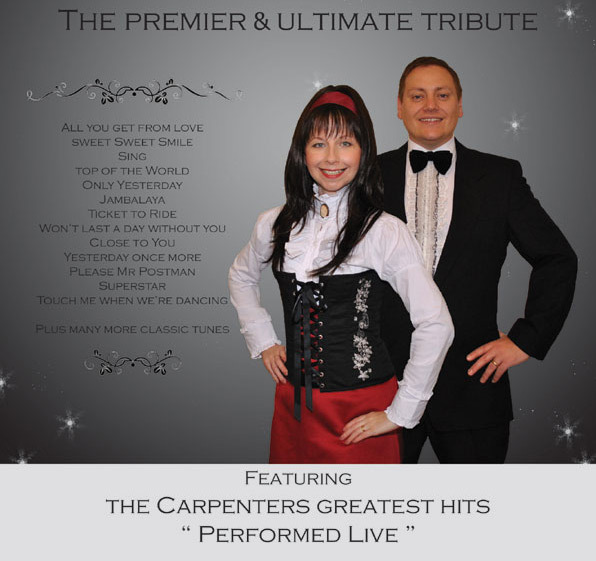 The Carpenters tribute have many years performing experience in a variety of situations from Holiday Villages, Cruise Lines, Golf Clubs, prestigious Hotels and many corporate venues and locations throughout the UK and Europe. Many people have commented on their enthusiasm for the Carpenters and this is evident in their music and on stage. Just like the Carpenters themselves, the tribute have multilayered their tracks with haunting vocals to recreate their unique live sound. The Carpenters would spend hour after hour working to perform pure excellence in the their music and this tribute also bring this to life in their performance.